What Exactly Is Matcha and Why Is Everyone Talking About It? – Eater. The image connects to a recipe (on Orgasmic Chef) for eggs and toast soldiers – even though I’m not especially keen on boiled eggs – because I liked the narrative style. Image credit: I Knead You (a WordPress blog). My breakfast yesterday morning began with a toasted English muffin, spread with my new home-made crab-apple jelly. I’ve been trying to remember how many years it has been since I last got the chance to persuade a bag of these little beauties to yield up their unique flavour and gorgeous colour. 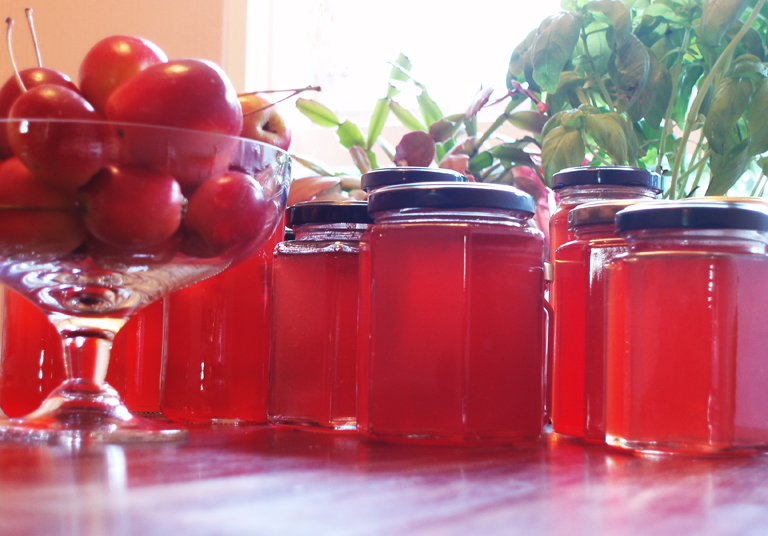 It would be five years or more since I made raspberry jam – another of my favourite things – but how long since I got my hands on a bag of crab-apples? For several days I had revelled in the mere sight of the bowl brimming with red and yellow-gold fruit in my dining-room – and spent some time photographing it – but at last there was a clear morning and a clear evening. In the course of trimming and quartering the fruit, I reserved a small bowl of attractive specimens to keep around for a few days. Even so, it was necessary to cook the prepared fruit in two batches. Each time, following Mary Wynne’s advice, I added “enough water to be able to see, but no so much that the crab-apples [were] floating.” Once the fruit was turning to pulp, I mashed it up a bit against the sides of the pan using a slotted spoon. Both batches of pulp went together into an old (but clean) pillowslip, which was then strung up over a large bowl, while I went out for lunch, returning home in the early evening. The strained pulp having produced twelve cups of liquid, I measured ten and a half cups of white sugar into a bowl, as per the instructions given by chef Jonny Schwass, whilst starting to heat up the juice. Setting the oven to 100°C, I put fourteen jars in to sterilize. Then, cup by cup, I counted the sugar into the pan. 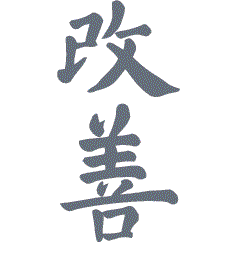 Just as well – I had measured out one cup too many! It took twenty minutes or more to bring such a large quantity to the boil, and a further twenty before the jelly reached setting-point. There was sufficient to fill eleven jars, with a bit left over for breakfast – which I ate whilst eradicating all evidence of the previous evening’s sticky moments. Last word: For an elegant supper, toast an English muffin, spread with a liberal layer of hot-smoked salmon, season with salt and pepper, and top with crab-apple jelly and a fresh basil leaf. 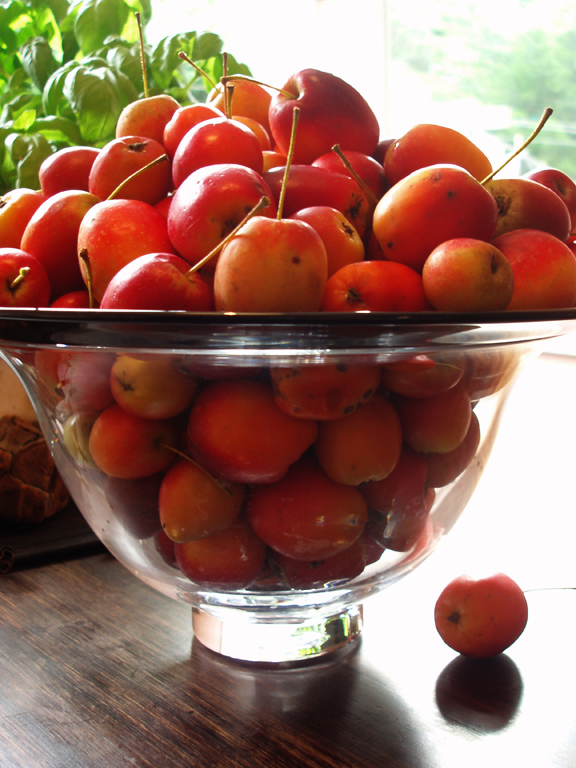 Crab-apples are even less likely than quinces to be available in retail stores. A long-time lover of crab-apple jelly, I was delighted when a dear friend took the trouble to pick a lovely lot of them for me before she headed back to her consultancy project in Ankara, Turkey. Mary Wynn suggests adding a cinnamon stick when cooking the fruit. Jonny Schwass, a chef who broadcasts on Radio New Zealand National, adds a few peppercorns to each jar when he wants to serve the jelly with duck. The bowl of fruit was very photogenic, and I spent a few minutes taking pictures. I’m really looking forward to making – and eating – the delicious rose-gold jelly. Naturally, my friend will be back to collect a jar … but not until December.